We have all already thought about what came to our mind when we took such or such decision. Science shows us that a lot of biases (emotional, cognitive and physiological) have an influence on us without knowing it. 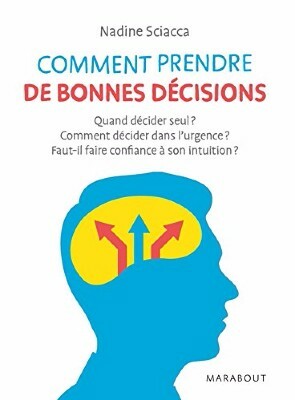 This book explains the reasons of our mistakes, and that our brain, made for taking decisions at the prehistory, has now to deal with a world much more complex. By showing us the mechanisms of decision making, it helps us to avoid traps and false good ideas and offers a methodology for decision making (when deciding alone, when deciding during urgent situations, when should we trust our intuition…) that will be a precious help to get through every situation we have to deal with at work or in our personal life. Our emotions scare us but they are helpful to protect ourselves: let’s learn how to rediscover them! 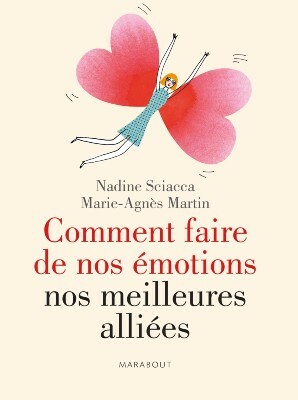 Nadine Sciacca and Marie-Agnès Martin have gone through all the technics and knowledge about the emotions management and the brain functioning in order to offer in this book every concrete situation that we live in our everyday life and for which we need the help from specialists. It is a book that helps us to reconcile ourselves with our emotions and to learn how to use it. Education is one of the main concern nowadays. Every parent and teacher are asking themselves about the best way to make children successful. 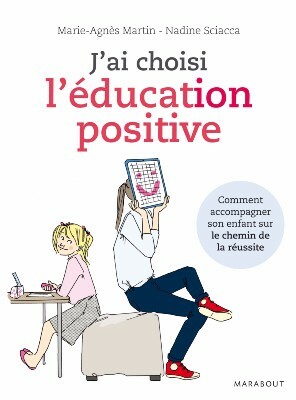 However, despite the advance of the research on the brain and a lot of studies on education and pedagogy, the French educational system has still not a good reputation. Shouldn’t we change our methods in order to offer a way of learning that listens more to the children and that would allow us to take them further? Founded on an optimist pedagogy, this book relies on methods, analysis and learning tools that have been proven to work. Only one objective: helping parents and teachers to support children during their whole schooling and overcoming the difficulties thanks to simple and efficient technics.